Shellburn, a fictional character based on Oswald and possibly Thornley. experiments verified to have been conducted by the U. S. Government's CIA. Oswald? Was that real or a product of Kerry's crazed imagination? In the 1950s in American and much of the west, a female deity was blasphemous. going viral when the World Wide Web was still wearing nappies. but maintains the complete look and layout of the original 4th edition PD). said to have been the assassin of John F. Kennedy. Texas. Thornley writes his own view on Oswald, a view that would later change. 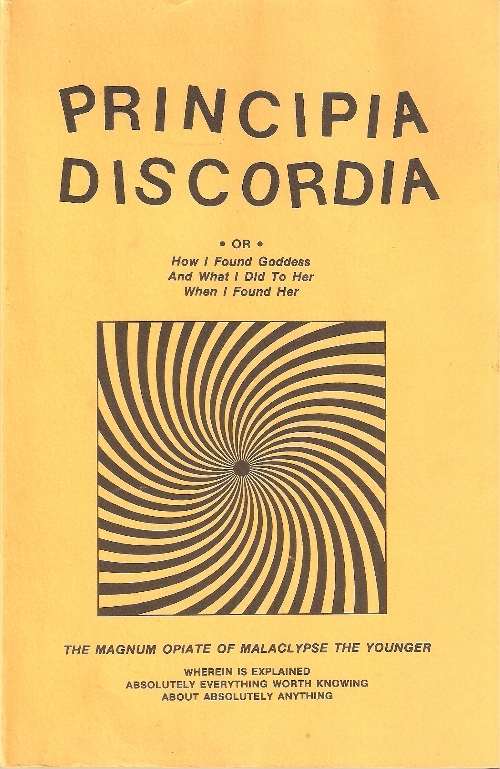 Principia Discordia and referred to in The Illuminatus! Trilogy. If you know more, let us know. and gave his anarchic support to the Bavarian Illuminati, a brilliant prank." Malaclypse the Younger and many of the founders of Discordianism. This book is by Joe G. Biles with a foreword by Robert Buras. was also known for incomprehensible ravings and seemingly paranoid delusions. his example is so instructive. Thornley might have been a Manchurian candidate. This book is by Aine McHoul. Have a book you'd like to see listed? 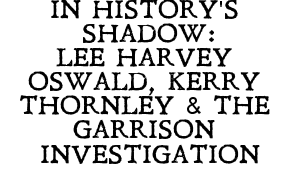 Kerry Thornley, have been seen online, the book itself may not yet exist. for fun. But he wrote. We have some--or links to where you can get some--of his most important writings. We will be adding more as we go, Eris willing. haven't yet read. Some of them we might find excellent--or not.